Cedars-Sinai has partnered with the U.S. military to design the �operating room of the future� that will enable emergency medical teams to respond more quickly and effectively to patients with life-threatening injuries. Under the project, called �OR 360,� research teams have reconfigured the operating room with movable walls and equipment for more flexible use, identified ways to eliminate disruptions during surgery, and developed an iPhone app that provides diagnostic information about blood pressure and other vital signs before patients arrive in the emergency room. The initiative, drawing on practices from surgery, psychology, aviation and other disciplines, focuses on addressing potential breakdowns in the coordination of trauma care during the so-called �golden hour,� when prompt medical attention can mean the difference between life and death. Physicians from Cedars-Sinai and military hospitals on two continents, along with researchers from several universities, have analyzed the complex processes of trauma care � from the moment a doctor�s pager is triggered to the time a patient arrives in a trauma bay to the patient's transfer to an intensive care unit. The aim of this research has been to find ways to simplify the time-pressured nature of trauma care. Gewertz said that means improving communication and teamwork among medical staff, making better use of technology and re-engineering the operating room so that bulky equipment pivots effortlessly around surgical teams rather than cluttering work spaces. OR 360 has been funded by $3.8 million in grants from the U.S. Department of Defense. Cedars-Sinai has collaborated with personnel at military medical centers in the United States and Europe. Important partners in these efforts have included faculty members from the University of Washington, University of Wisconsin-Madison and University of Central Florida. Private sector representatives have come from Coolfire Solutions, a mobile application developer in St. Louis; and the Surgical Safety Institute, a consulting firm in Tampa, Fla., that applies aviation safety techniques to the operating room. Members of this wide-ranging team have based their work on �human factors� research to evaluate the interplay of teamwork and technology, as well as operating room culture and workspaces, among other things. This analysis has zeroed in on �surgical flow disruptions� � such as missing equipment, tangled IV tubes, extraneous conversations and delays in getting specialists or interpreters to the operating room � that can interrupt or slow the work of surgical teams. A broad body of research has found a direct link between flow disruptions in the operating room and surgical errors. To learn how military hospitals avoid these types of disruptions, members of the Cedars-Sinai team visited military surgical teams in the U.S. and Europe to observe their practices and to interview surgeons, nurses and other medical personnel. Team members took away important lessons about standardizing the setup of trauma bays and how to better use technology in the operating room. Creating color-coded trauma bays, allowing staffers to more quickly locate supplies and equipment. Installing whiteboards in trauma bays that display key patient information such age, gender, pre-hospital vital signs and field treatment, providing important facts as trauma teams respond to fluid situations. Developing an iPhone application that puts patient diagnostic data at the fingertips of surgeons, nurses, pharmacists and other trauma team members as they converge on a case from different parts of the medical center. Conducting pre-briefings in trauma bays before trauma patients arrive, allowing doctors, nurses and others to understand their roles and to ensure that correct equipment and medications are ready. These changes have produced promising early results. The whiteboards and pre-briefings, for example, reduced the time to capture first radiological images by more than 10 percent and the time to draw blood for first lab tests by more than 20 percent. The standardized, color-coded trauma bays reduced the time needed to collect supplies by about 15 percent. Cedars-Sinai researchers also are evaluating ways to reduce delays and errors during �hand-offs,� when patients are transferred from one medical space to another (for example, from the operating room to the intensive care unit). And they have designed and built a simulated operating room that features flexible, moving walls and pieces of equipment attached to ceiling tracks that pivot around surgical teams. The lab fosters creative solutions to complex logistical challenges in the operating room. The initiative was supported by a contract that was awarded by the U.S. Army Medical Research and Materiel Command and managed by the Telemedicine & Advanced Technology Research Center (TATRC) under Award Nos. W81XWH1011039 and W81XWH1110813. The views, opinions and/or findings contained in this new release are those of the author(s) and should not be construed as an official Department of the Army position, policy or decision unless so designated by other documentation. This is the perfect snack for college age or young kids. Healthy, delicious and easy to transport; comes in small bags for lunches or large bags to keep in your desk drawer. They come in several flavors; we loved the Cherry Fruit Vines. 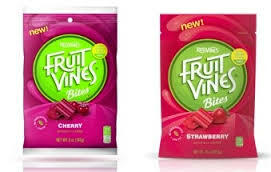 Visit: www.fruitvines.com for more information. This is a refreshing power drink for people on the go who are watching their weight and sugar intake. Flavores include blueberry lemonade, tropical citrus, dragonfruit tagernine, peach mango and raspberry limeade. This is a great tasting drink for people watching their weight or those concerned about sugars. We loved all the flavors and feel they are a perfect match for summer picnics or beach days. For additional information visit: OnBeverages.com. Healthy Style News . . .
Breathtaking fashion label GREEN EMBASSY, (http://greenembassy.com.au), struck a positive cord at Vancouver Fashion Week on March 19th, 2014 at 6:30pm located at 50 E Pender St. Vancouver Canada. GREEN EMBASSY is an organically certified artisan clothing brand created by Australian Artist and Fashion DesignerZuhal Kuvan-Mills. GREEN EMBASSY is designed, knitted, spun, felted, stitched and embroidered from scratch at her sun-drenched farm in the Western Australian bush. GREEN EMBASSY combines the lack of eco-consciousness missing in the fashion industry with timeless designs, luxury organically certified materials, traditional handmade techniques, and elaborate art into fashionable, wearable pieces. With a unique mission to provide women with one of a kind garments that are both high quality and sustainable, it is easy to see why GREEN EMBASSY is a highly coveted brand. GREEN EMBASSY had presented their Haute Couture women�s line of handmade, one of a kind pieces that retail between $2000 and $15,000. �Vancouver Fashion Week has been very successful, and has even extended their six-day events to a seven-day run.� States Designer Zuhal Kuvan-Mills. �I�m very happy to have GREEN EMBASSY be a part of it. I want women to know that their art piece garment is as earth-friendly as possible, and that they can definitely wear stylish yet guilt-free fashions. My hands have touched everything which makes every garment haute-couture and unlike any other. GREEN EMBASSY is Australia�s first internationally recognized organically certified fashion label. As a company they believe that sustainability should be at the heart of their business and of the fashion industry. With a strong focus on a modern minimalist feel along with practicality, eco-conscious consumers flock to the line. Zuhal herself find daily inspiration for her artisan line through mature textile crafting traditions, and the beauty lurking in the Australian Outback. Each and every garment easily shows her responsibility toward living sustainably, organic architecture, and art. GREEN EMBASSY uses only the finest materials such as 100% certified organic Australian alpaca, merino, silk and organic natural fibers. The brand recently had a successful show for EcoLuxe London for London Fashion Week 2014, and is also participated recently in a Seattle for the �Everybody Every Body Fashion Show� where the debut of their Night in The Bush Collection took place. GREEN EMBASSY is also slotted to present in a New York eco fashion show for May.